Just when I thought that developers, planners, and architects didn’t have a chance to correct the mistakes they made in developing Boracay, that’s the time an opportunity presented itself. 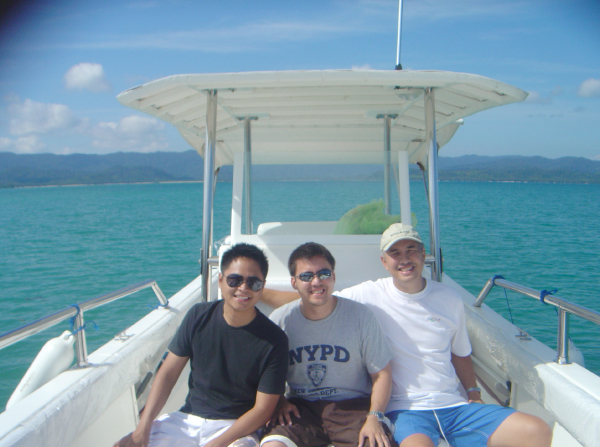 I, together with another architect, was invited by a prospective client to accompany him to an ocular inspection of his property in San Vicente, Palawan, which he was thinking of developing into an exclusive beach resort. I have been to Palawan before, but I have never been to the San Vicente area, which is why I packed my bags right away and agreed to go with him without any hesitation. 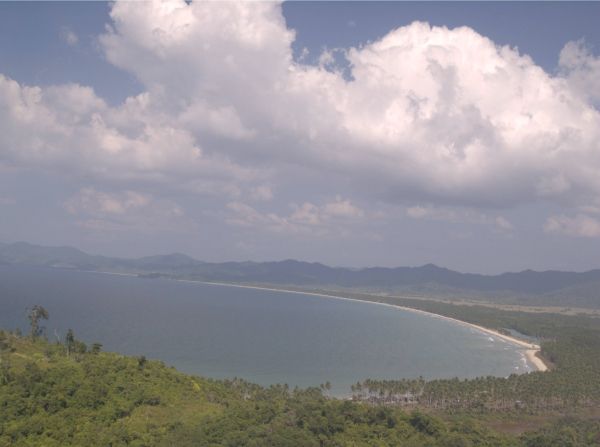 San Vicente is one of the many municipalities in Palawan and is located on its north-western side. It is bounded on the west by South China Sea, the municipalities of Taytay, Roxas, and Puerto Princesa on the north, east, and southwest; respectively. About 75% of it is generally forested, which allows the place to have a rich marine, agriculture, and forest resources endemic only to Palawan. It also has a pearl farm of about 8 hectares. But what impressed me most was the endless stretch of pristine and untouched white beach! Boracay is 7 kilometers long but only has a white beach that is about 2.5 kilometers. Imagine the beach in Boracay, multiply it sixteen times, and you’ll get an idea of how long the beach is in San Vicente because it runs a stretch of over 40 kilometers collectively! Now that’s what you can call a slice of paradise! 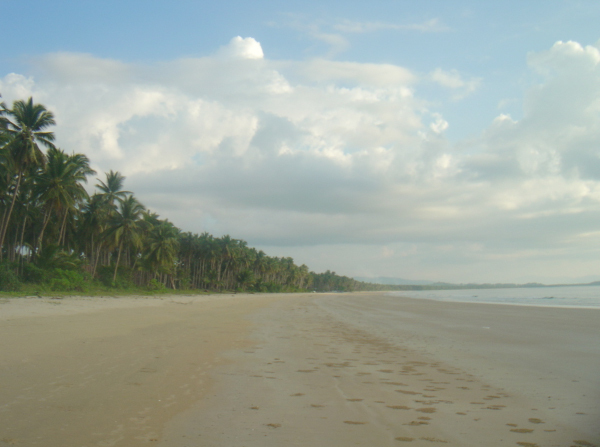 During low tide, the beach can be as wide as 60 meters from the first line of coconut trees to the tip of the water. I could start to imagine the different recreational activities that you can do with a beach as wide as that. We visited the different parts of the long beach such as Alimanguhan, Maymanoc, Lion’s Head, Canefo, Luambong, Port Barton, and Exotic Island to name a few. From anywhere in the long beach, we enjoyed beautiful views of the open ocean, Mt Capwas, and the sunset. Being in an untouched and undeveloped municipality was very interesting. I was able to witness a number of ‘vignettes’ or ‘snapshots’ that describe the simplicity of the place. In the mornings and afternoons, all the kids of the town would walk kilometres to get to and from school. It would take them so long to get home that some of them would do their homework while walking, so that by the time they get home, they would be finished with their assignments. I also saw how some of them catch fish. The process is called ‘pangangawil’, where they use about a three hundred meter fishnet. One end of the net is left on shore, while the other end is pulled by a boat out into the open sea. The net is then brought back to the shore, forming an arch in the ocean. The two ends are then pulled by the whole community, little by little, until the entire fish net is brought back to shore. Some days, they fill up three baskets with different fish; some days, they don’t catch anything. The owner of the fishnet then divides the catch of the day into two. The first half is sold to local markets or is exported to other towns while the other half is given to the community as their food for lunch or dinner, making everybody happy. I was deeply moved by how their community works together daily to achieve even a small task of catching fish. Even if they have simple lives, I didn’t see a face that didn’t have a smile on it. Another thing that made my visit to San Vicente paradise-like was the food. We stayed in ‘Caparii’, which was originally a scuba camp that was converted into a small resort complete with a dining hall, VIP suites, and function rooms. Throughout our stay, we would constantly joke around and call it the ‘fattening farm’, because it seemed like there was something in the food that made you want to eat more with every bite. Some of the food served was a soup that was a cross between lobster chowder, stuffed crab, chicken curry, and lapu-lapu. There were some vegetables that were endemic to Palawan. 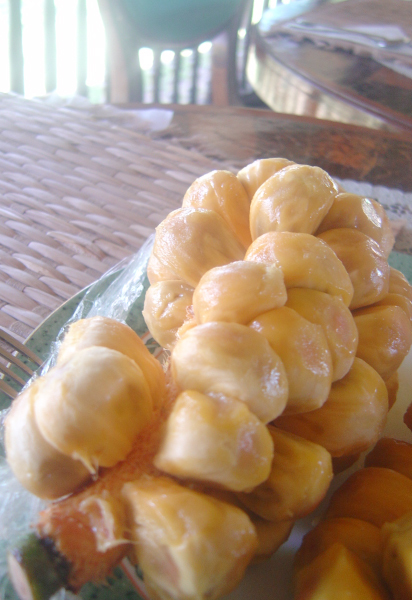 For dessert, they would serve this fruit called ‘champada’, a cross between marang and langka, whose seed they brought from Indonesia. Developers and private investors are starting to see the development potential of this area. I am sure that San Vicente will be a ‘beach resort town’, ushering in a huge influx of local and foreign tourists. My only hope is that the investors, architects, and planners who will be coming in to prepare their respective designs will take into consideration the mistakes made in the famous Boracay. Environmental issues have to come first to ensure that this jewel of a beach will not deteriorate over the coming years. Proper setbacks from the beach front should be maintained and the architecture should be carefully designed so as not to seem too ‘imposing’ on the natural beauty of the place. For sure, there will be huge requirements for different resorts to be able to thrive in a beach strip as long as this. This is why alternate sources of energy should also be integrated in the preparation of plans. An updated development plan should be prepared to serve as a non-negotiable guideline for future developers. The local government and our tourism groups should form partnerships to enforce such plans and to ensure correct developmental procedures. I do hope that this time, nobody repeats the same mistakes.